Now what in the world could a title like that be about?. Maybe it’s a line from a John Wayne movie! Or it’s a story about early arrivals in America! No! Rather it is about a little boy growing up and wondering what was this deep desire groaning around in him that seemed to have no answer. 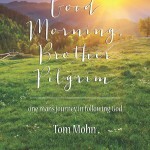 The story broadens and deepens as his life goes on through grammar school, Junior High and into High School where an auto accident further puzzles and deepens his confusion. From there on into a failed college experience that leads to a three year stint in the Army filled with deprivation and odd musical recollections. After the Army further failed college experiences and a desperate flight from college into more depravity in California. Next comes the humiliation of returning home with depression and a seemingly meaningless life. Then comes a “chance” meeting at a summer stock play where he falls head over heals for a sweet little blond girl. 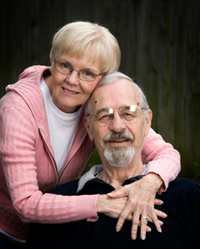 From there marriage on until the present day, now over 53 years ago, is the revealing of what life is truly all about. Read and find out what happened to me and it just might be an encouragement. 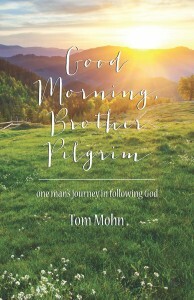 Instantly download the ePub or Mobi file for Good Morning, Brother Pilgrim for only $8.99!! The ePub file is view able on most e-book readers like Nook, iPad, Ematic, Sony, etc. The Mobi file is view able on the Kindle and many mobile phones with e-book reader aps. If you are downloading to a computer, you can read it using a free reader Adobe Digital Editions available here. Click one of the buttons below to purchase the e-book now! [wp_eStore_buy_now_button id=1]$8.99 – ePub file for most readers. [wp_eStore_buy_now_button id=3]$8.99 Mobi file for Kindle readers. You will be redirected to the PayPal site, an account with PayPal is not required, feel free to pay with any credit/debit card. Please send us an email if you do not receive your download link after your purchase.